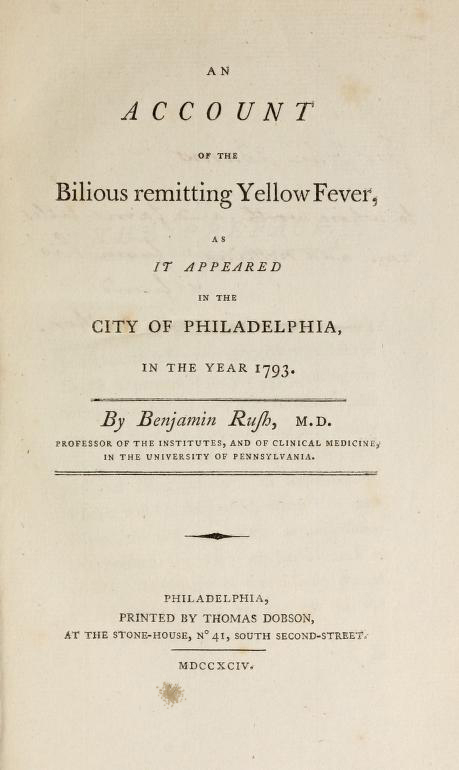 Benjamin Rush, An Account of the Bilious Remitting Yellow Fever, as it Appeared in the City of Philadelphia, in the Year, Philadelphia, 1794. Flip to Benjamin Rush, by Charles Willson Peale, 1783. In addition to publishing his thoughts and studies on a wide range of subjects, including Native American medicine, politics, mental illness, and the yellow fever epidemic of 1793, Benjamin Rush also carried on an extensive correspondence with doctors in North America and Europe that offers fascinating insights into medicine in early America.